The automotive industry is constantly developing new technologies for entertainment, comfort and safety. One particular segment that is always in mind of the auto makers is increased safety on the roads. Many innovative car technologies that have been introduced recently or have been tested are specifically designed to offer increased safety. 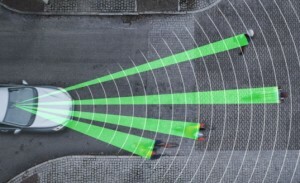 All these new safety features are exciting and promising and will introduce revolutionary changes in the automotive industry and transportation in general. So what’s available for your car today? Here’s a short list of some of the technologies that are either implemented or will come as a standard safety feature for cars in the years to come. 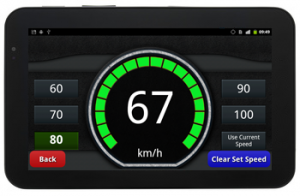 The Intelligent Speed Assist (ISA) is a safety device that is specially designed and programmed to alert drivers every time they go over the speed limit. The ISA uses the information provided by the Global Positioning System (GPS) to determine the type of road the car is on. It compares the information from the GPS with a digital map that contains information about the speed limits for that particular road. If the car is driving fast and above the speed limit, the ISA device will notify the driver by audio or visual warning message. The Intelligent Speed Assist can significantly reduce speed-related safety risks, thus minimize the number of car crashes. Blind spot warning systems come with electronic devices like sensors and cameras, installed on the sides of the car. These electronic devices provide information for the driver about the objects which are outside of his vision range. If the car is getting too close to certain objects or other vehicles on a parking lot, the blind spot system notifies the driver either by warning sounds or by flashing lights, or with a combination of both. Some Blind Spot Warning Systems come with innovative technologies and can tell the difference between small and big objects. They can even digitally show the distance between the car and other objects. The safety regulations and traffic laws strongly forbid the usage of cell phones when driving. For example, in Victoria, the fines for using cell phones while driving range from $430 to $500. recent reports show that majority of car accidents on the roads occur due to cell phone usage while driving. A major contribution towards increased safety on the roads is the introduction of the Bluetooth Smartphone Hands Free Connection. Many car models today are now being designed with Bluetooth-enabled devices that can establish connection with Bluetooth-enabled smart phones. These devices provide drivers a useful and excellent hands-free way of cell phone communications while driving. Drivers can use or talk on their cell phones without even touching the phone. 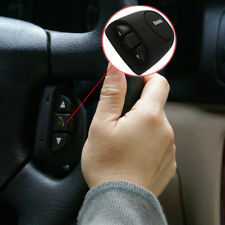 It’s a matter of time when these hands-free automatic connection devices will become a standard feature in every car model and make. One new technology that is being widely adopted today in new car models is the Automatic Breaking System. This system provides additional breaking support for the drivers in emergency situations. There are many types of Automatic Breaking Systems, all designed to prevent the car from hitting another car or something else on the road by reducing the speed of the vehicle automatically. These systems come with special sensors which are programmed to monitor the situation in front of the car, and to activate the breaking system automatically if something unexpected happens on the road. Since high speed car crashes are likely to be more fatal than low speed car crashes, the Automatic Breaking System can reduce the number of accidents on the roads and save many lives. Parallel parking is a difficult operation for many drivers, especially for learners. And with limited parking spaces in bigger cities, the ability of parking a vehicle into a tiny space quickly and without any damages is a vital skill not all drivers have. 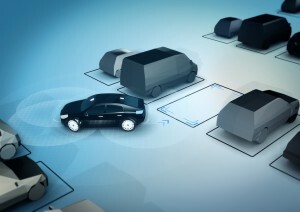 Fortunately, the technology has an answer to this problem as well – the Automatic Parking or Self-Parking System. This system transforms the car into a self-parking vehicle with little or no assistance from the driver. Many car makers like Ford, Toyota and Lexus are implementing the Automatic Parking Systems into their car models since it allows drivers to park their cars with a single press on a button without using the steering wheel, clutch or brakes.